Environmental risks pose the biggest threat to the world this year, with extreme weather events and failings in the global response to climate change among the issues we should be most concerned about, according to a new report by the World Economic Forum. WEF’s annual “Global Risks Report”, based on the views of world leaders in business, government, civil society and academia, saw environmental issues dominate the list of threats for the third year in a row. “Of all risks, it is in relation to the environment that the world is most clearly sleepwalking into catastrophe,” it warns. The study, released ahead of the group’s Davos Forum next week, assessed the risks facing the world in 2019 both by their likelihood and the impact they will have. Environmental concerns accounted for three of the top five risks by likelihood and four in terms of impact. Extreme weather events, such as floods and storms, topped the list of most likely risks and scored third place for impact. It came after 2018 saw extreme weather across the world, with unprecedented heatwaves, storms and floods. An inadequate response to climate change took second place on both lists. “The results of climate inaction are becoming increasingly clear. The accelerating pace of biodiversity loss is a particular concern,” the report noted. 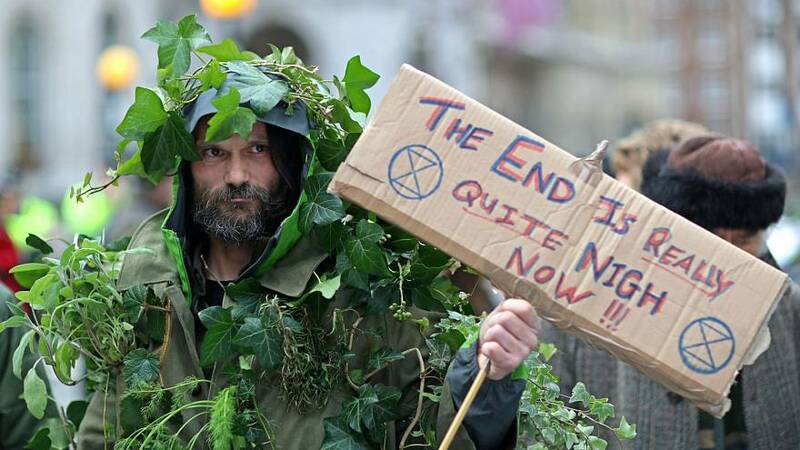 Other environmental concerns highlighted by world leaders surveyed for the report included major natural disasters, man-made environmental damage and ecosystem collapse. Large-scale cyber-attacks also featured prominently on the list of risks for 2019, placing at number five for likelihood and seven for impact. Data fraud placed at number four on the likelihood list. The past year has seen numerous data breaches as well as high-profile cases of cyber-attacks on businesses and public institutions. Meanwhile, for the third year running, respondents said weapons of mass destruction were the number one global risk in terms of potential impact, while large-scale migration and asset bubbles in a major economy were also highlighted as significant risks for the coming year. We looked at how the risks facing the world, as assessed by the WEF, have changed over the past 10 years. While environmental concerns now dominate both the likelihood and impact lists, a decade ago they did not appear at all, with concerns focusing instead on economic and health risks.